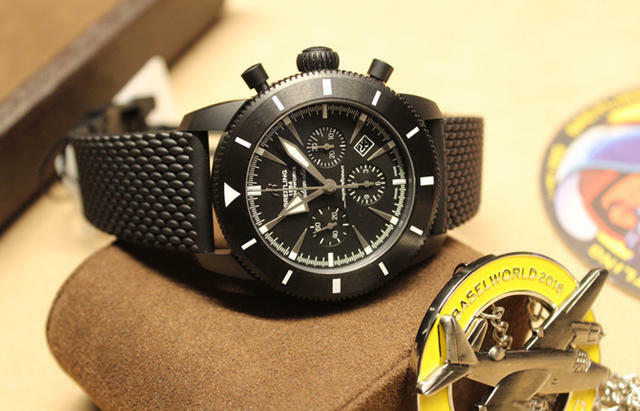 Unveiled at Baselworld 2016, the Breitling Superocean Heritage Chronoworks® is a 100-piece limited-edition chronograph housing the Manufacture Breitling Caliber 01, optimized in the Chronoworks® performance lab. Tim Mosso reviews the watch hands-on in Basel. The black ceramic case is fitted with a transparent back serving to admire this exclusive ‘engine’ with its black oscillating weight. The watch boasts a 100 hour power reserve. 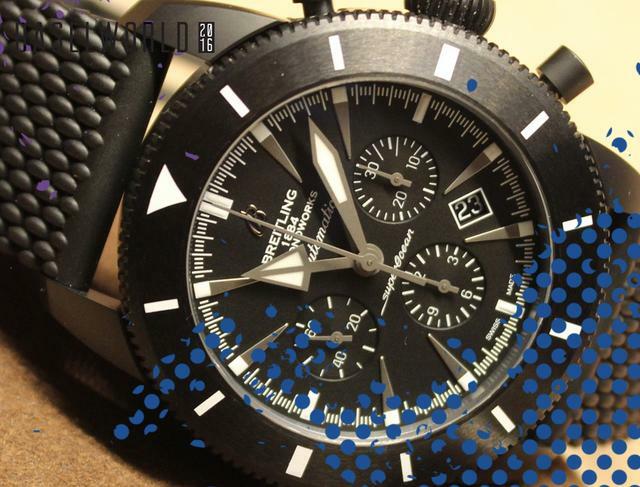 “Chronoworks® is a new initiative by Breitling to unveil in-house complications and materials innovations in a creative fashion inspired by aviation,” Mosso explained. The watch is placed on a rubber aero classic strap and has a water resistance up to 100 meters. Thanks to five major efficiency-enhancing innovations, specialists have succeeded in increasing the power reserve from 70 to 100hours, thereby improving user friendliness as well as rating regularity and precision.